How to quickly switch between accounts or What is CookieSwap? You may ask: Why change cookies? 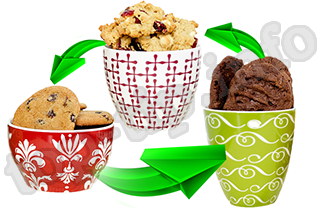 If you have multiple accounts (like Facebook), then CookieSwap makes it easy to switch between different accounts. uses a few people, then you need to change cookies!!! Otherwise you may be banned! 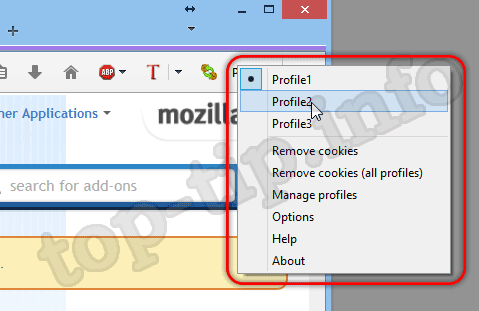 The cookies in all tabs and all browser windows are replaced at the same time when you are pumping profiles with CookieSwap. It means that your login to sites like Facebook will change in all the tabs at once. It's really cool. For example, five users working alternately in one browser. Cookies allow instantly switch between all users in one click. All your passwords and settings to your favorite sites instantly be applied and you will not have to re-enter your username and password or make other settings. Changing your cookies to web sites (such as Facebook, Yahoo, Hotmail, etc.) so you can easily look as different users. Is well, if you have multiple accounts and tired of out of and then back in to switch accounts. Is also great if two persons using the same PC and you want to toggle between accounts quickly. Some sites like Amazon and Google to treat the user differently depending on who you are. If you are a registered user search engines consider your features and preferences, your location, etc. and accordingly show different search results. Try searching of something in different profiles and you will get different results. If you develop websites, you can configure more than one cookie to look for various types of users and sharing between users to quickly and easily test site in several modes. How to install a CookieSwap? You can create as many profiles as you need. Have a nice use!